Liberty Travel complaints number & email. 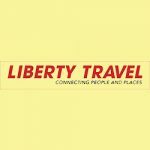 Get verified information about Liberty Travel complaints email & Phone number. Liberty Travel provides full complaints handling accessible initially by telephone on 1-855-287-3220. If your complaint cannot be resolved at this stage, a series of steps to take and other contact options are available. You should call Liberty Travel complaints line in the first instance on 1-855-287-3220. If this does not resolve matters, then further steps can be taken. Further information is on the website along with details of alternative contact options such as contact form, email and visiting your local branch. Liberty Travel is a retail travel and cruise company. Liberty Travel is a sister company of GOGO Worldwide Vacations, which markets vacation packages wholesale to independent retail travel agencies. In 2008, Flight Centre Ltd., the largest travel company in Australia, acquired Liberty Travel and GOGO. Hopefully, We helped you to get some genuine records for Liberty Travel Complaint information. Use below complaint form to discuss problems you have had with Liberty Travel, or how they have handled your complaints. Initial complaints should be directed to Liberty Travel directly. You can find complaint contact details for Liberty Travel above.